Most of the time, when you see an aggressive dog it wasn’t born that way. Owners of dogs just may not fully understand how to train their dog. 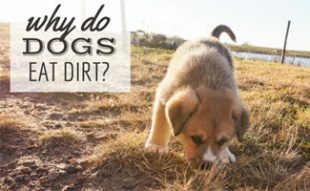 This lack of training often leads to aggressive behavior in dogs because they are responding to situations using their instincts, and not proper training since they have never been taught differently. 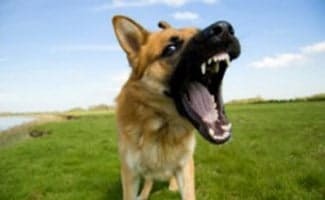 Dogs become aggressive for a number of reasons. Normally, their aggression is born of fear or possessiveness. An owner who fails to see the signs of aggression as they develop will soon find themselves with a dog that is completely out of control. This is the owner’s responsibility, and does not mean that the dog is a “bad dog.” It just means it is time for some aggressive dog training tips to help you make your dog sweeter. If you pay attention, you will know that your dog is aggressive long before their behavior becomes serious. Here are some tips for looking for aggressive behaviors in your dog and how to end them. Dogs tend to use body language to intimidate; therefore your dog may try to situate himself so that he is taller than other animals. His hackles may rise, the dog may lock his gaze and display more control over the mouth muscles. Other forms are a tightly closed mouth, or lips stretched over the teeth. Your dog will be tense and will show signs of physical dominance. Dogs are pack animals. In a pack, there is always a leader or “alpha dog.” If no leader is established then the dog will establish itself as the alpha and will be guided by instincts and how much control he has over people, other dogs, and situations. Even though dogs are pack animals, some dogs are naturally born shy and their aggression is the result of their fear. These dogs can be particularly vicious because they are often small dogs that the owner leaves unchecked, assuming the dog to be harmless because of its size. In your home, you need to be the one to establish yourself as the alpha dog. You establish physical boundaries as well as behavioral boundaries. To do this, you must first teach the dog that you are the one in control. 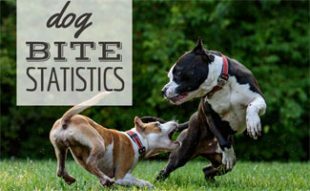 Many dog owners punish aggressive dogs with aggressive behavior themselves. Rather than the dog learning to behave from this form of punishment, they learn that aggression is an accepted response. Remember that some aggression is born of fear. When you beat your dog, you might establish some fear and that may cause the dog to stop doing whatever it was punished for, but you also build a foundation for aggression to be acceptable. Sooner or later that fear you created may come out in aggressive behavior that is beyond your control. Instead, use specific methods to teach your dog what is acceptable and what is not. Rather than using punishment to establish control, you can limit the dog’s abilities and following the pack order. Keep in mind that the alpha dog gets the best of everything, and first choice to decide what the best of everything is. The alpha dog is followed, not led. When you rely on punishment only, you are responding (following), rather than leading. In order to establish yourself as the alpha dog in your home, you may have to use a leash inside your home. This is so that you can control where the dog is able to go. For instance, if you do not want your dog on the furniture, simply step on the leash when he goes to get on the couch. Prong collars and harnesses work well for this type of training because they do not choke the dog when he is being guided, but they do limit what he can do. If your dog is the alpha dog, he sleeps in the best possible place. In most homes, this means he would sleep on the bed. This is fine once the dog understands he is not the alpha dog and that the alpha dog is allowing him to sleep in the bed, but you have to establish the pack relationship first. Your dog has to start at the back of the pack and work his way up. This might mean your dog has to sleep in a crate until he understands the chain of command. The alpha dog has first choice when it comes to meal times. Since you are starting your dog at the back of the pack, he will be the last one fed. You may even find that you should crate him during meal times. He can progress to eating at the same time as you once boundaries have been established. Collars and muzzles can be very helpful when it comes to training your dog. They may seem like harsh forms of punishment at first, but they work better than regular collars because of the way they are made. Prong collars are among the best tools a trainer can use. A normal collar will choke your dog if you pull on it. A prong collar will cause superficial discomfort similar to what a pup feels when his mother nips him in the back of the neck, indicating that his behavior is not acceptable. We recommend the Starmark Training Collar as it is a little softer than the traditional metal prong collar and it has great reviews from professional dog trainers. A muzzle is a great tool to use if you have a dog that snaps or tries to verbally intimidate other animals. This is usually what happens with shy dogs who are nervous in a situation. 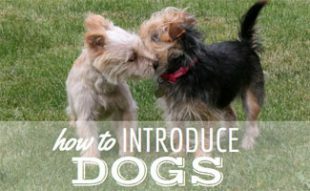 You must ease your dog into new social situations a little bit at a time. The muzzle can be used in social situations, but to train the dog correctly, put the muzzle on the dog for about an hour before a pleasurable activity such as eating or play time. Then the dog will come to associate the muzzle with pleasant activities and will apply this feeling to social situations. When you are training your dog, be sure to reward him or her for good behavior. You can do this with a toy, a treat, or lavish praise. This lets the dog know he has pleased the alpha dog and may be moved from the back of the pack soon. Have patience and introduce your dog to new ideas and settings a little at a time. If your dog is nervous around people, only expose him or her to people for a short period to begin with, petting him and reassuring him all the while. Your dog feels safer with an alpha dog indicating that all is well. I have a 5 year old Pit, we adopted him from a shelter, he does great with people and kids. But once there is another dog around he gets aggressive, he has attacked one dog (thankfully he didn’t do much damage and the other dog is okay) we believe he is dominant aggressive. We want to get him into a training class but they are so expensive. (And I’m worried it won’t be 100% successful) hopefully you have some advice for us. I’m hopeless at this point and I don’t want to give up on him. We have a dog who is very sweet– but only once he gets to know people. He’s a shelter dog who was abused and not socialized properly. He shows aggressive behavior towards new guests, and dogs who try to dominate him. Part of his aggression is nervous (he is a big scaredy dog) and part of it is protective. We’ve been working with a trainer and try to eliminate risk factors (telling people on the street not to pat him, only letting him play with dogs who he knows and informing guests of some of him triggers– plus putting him on the leash when new people come)– Mostly I want to know is- if we work with him long enough will he start to become friendly and we won’t have to worry? Or will we always have to take precautions? Each dog is different and some behaviors you just can’t shake. This is something you’ll have to decide as he makes improvements. Depending on his level of aggressiveness, you may always need to take precautions and it’s probably best that you do to make sure no one is injured. Best of luck to you all. My mother’s six year old poodle has become aggressive after the loss of my father and moving to a new home. He now wants to spend every moment with me and snaps and tries to bite her or anyone else when they try to get close to him. I’m seeking advice on how to stop this behavior. Best of luck to you and the dog. I think you’re doing the right thing by seeking out help. Hope it all works out! My sister has a dog And is a good dog when he wants to be. He’s been aggressive, bites, and barks at people that he does not recognize. We’ve grown attached to him and tried so many things to change him and we really don’t want to put him down for being aggressive. Any advice on how to help my sisters dog not be aggressive anymore? HELP. Doggy Dan may be a more affordable option for you and it’s something you can do from your home. I have a four year old female Golden Retriever and got a small terrier puppy recently. At first the Goldy LOVED the new puppy, shared her ball and taught her to play. The’d cuddle together and the Goldy who’s very maternal would even groom the puppy. The other night out of nowhere she attacked the puppy, I had to pull her off and the puppy got bitten. A couple days later as carefully as I was watching for signs of trouble it happened again. This time I got bitten in the struggle. Now I’m keeping them in separate parts of the house to keep the puppy safe. I think the issue is my bed where my Goldy slept and then the puppy joined us though there was no problem the first week. I decided the Goldy couldn’t be in the bed any more because she’s too possessive of it and maybe it makes her feel like alpha dog. Now she’s miserable in the other room and I’d like to resocialize the two but am afraid that now she might resent the puppy more and blame her for losing her bed privileges. Please help! I love both dogs like crazy but can’t risk the puppy’s life. Have you tried training classes? Never use duct tape on your dog. This behavior has been taught and is a difficult one to stop since he’s done it for years. My suggestion would be to muzzle the dog during instances where people are allowed to come near the truck (drive thru windows, etc.). The last thing you want is for him to become aggressive and bite someone and cause damage. If you can budget for it, seeking advice from a trainer would be the best since they may have better advice. I’ve never experienced this type of situation so my suggestion may not be the best fit. Hi Jay, I’m sorry you are facing this. I first want to state that I am not a dog trainer, so please take my comment as my own personal experience with an aggressive dog and what I have learned in training classes. If you want an expert’s opinion, I suggest you seek out a dog trainer. Here’s my advice, as a fellow dog parent. I would muzzle the dog if he was being aggressive towards me and/or others. Keep him on leash and don’t let him go anywhere unless you give the ok. You are the alpha. He needs to learn that biting and being aggressive is not allowed. You are in charge of protecting him and you are the boss. He needs to know this. You may find this article helpful. If he doesn’t already know these training techniques, you can use them to help gain alpha status. Best of luck and let me know how it goes! I took my Shih Tzu to the Vet because I was not sure if he up to date on medical and shots. I thought I was getting him from a rescue and found out later, he was a private adoption. I had only had him five days when I took him to the Vet. 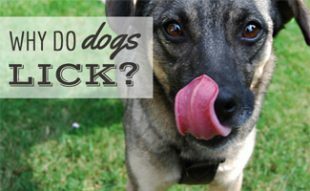 My dog attacked the Vet’s assistant and although the skin was not broke, the Vet told me I should take my dog to the Humane Society Animal Shelter. I took the Vet’s advice and took him to the shelter. Even though he was only in my home for five days, I had become attached to him. Now, I am feeling guilty and very sad. I’m not sure I did the right thing in the decision I made. I was lied to by the lady who ran the rescue and papers were not up to date and from another state and not the state where the rescue was. Please tell me I did the right thing by taking the Vet’s advise. I’m so sorry, Gracie. You did what you thought was best for your dog. Taking your vet’s advice should not make you feel guilty. It sounds like you were lied to about the adoption process and the details of the dog. You had expectations and they weren’t met because you were lied to. I’m so sorry this happened to you. My grandson’s dog joins our three dogs on occasions when they come to visit. On three occasions his dog has been envolved in an altercation which results in blood ddrawn. Usuallly it begins over a despute over a toy or cchew bone.. My grandson usually laughs abd minimizes the incidents with its just a dominace thing..dogs being dogs. I am tired of these reaction and rather than creating a situation like bannng his animal, ow should I approach this in a positive way which will not cause a family rift? I’m sorry, Jerry. Perhaps you could ask that he keep his dog on a leash while at your house or in a separate area from your dogs. Explain that you don’t want your dogs to get injured and potential cause extreme damage to them physically or emotionally. Hopefully your grandson will respect your wishes since you are his grandparent and it is your home. If you need to puppy house training for all habits, you should let him to join the best way to dog training classes in the market of Singapore. I just recently bought a 2 month old puppy, we have 3 other dogs plus the new one the two oldest are fine with the puppy being around but my second youngest myloh who is a year and a half old is acting really aggressive around him, he tried to attack the puppy and barks constantly. I have tried taking them both on walks where myloh is in front and blue(the puppy) is behind that didn’t work and i currently have then separated from each other by a gate I front of the bedroom for since the puppy is mainly in there. But myloh barks at the meet sight of the other dog. I tried group training him but that didn’t work. I comfort him every time he sees the dog so he knows it’s okay but he just barks non stop I’m afraid he’ll never be accepting of him. I’m at a point where I don’t know what else to do please help!! I recommend having a session together with your older dog and your puppy(Who i think is myloh but im not sure if thats the right dog) the older dog having a muzzle on and you playing with both of them or taking them on walks *Make sure to always keep the muzzle on when doing this until he stops barking* i would have another person walk one dog, if he keeps barking i would contact a professional dog behaviorist, this does not include petsmart or petco or anything like that, go to a place where dog training is all they focus on. Probably dont just bring them in i would call first because they may want to have them come in when no other dogs will be there. Same situation to me. Just now. My dogs are brothers. I have this dog named chingoo who is chubbier than his brother named Brancho. Both are a year and 5 months old. Chigoo is always irritated, everytime he sees his brother, or if he did something like biting or eating something he is not allowed to eat and i am trying to take that thing away from him, he openly gets mad at me. Just this evening, he bite a neighbor. He is so aggressive. I don’t know what to do. Please help us. I don’t want to give up on him…. Hello. I have a couple of issues with my dogs that started a few years ago. I have three siblings that I have had since they were puppies. I live in an area that is over populated with porcupine. My female seems to be the leader, sounding the alarm when she smells one one our property and all three of them with rip it to shreds. I have spent thousands in vet bills (probably close to 20,000) because they will not stop. I have tried shock collars, bark collars, muzzles, and wireless electric fence. They will not stop. My female also is aggressive towards other dogs. She has cause two injuries so far, but has attacked other dogs up to 10 times. She can strike at any moment, it could be right away or after she has played nicely with a dog for hours without issue. I have leash and muzzle for her for in public places and when around new dogs but she still gets very tense and growls when leashed and muzzled. Things I have tried walking her with a muzzle on leash with other new dogs and corrected her with “no” and making her submit when she does this. She continues to do this. The last incident occurred with a dog sitter when I was not in town. He has her unleashed and unmuzzled in a public area and she saw another dog and sprinted to it and attacked, causing injury to the dogs skin (skin flip). I don’t know what to do. I am thinking about rehomeing her but how can I when she has this issues. I would really love some guidance on this. She is an alpha. When I have her out she is always on leash, when other dogs are around the muzzle is on. I really do not want to have to put her down, but it is getting out of control. My life revolves around these dogs but she really can not be trusted. Any advise would be helpful. I am constantly stressed out, when I go anywhere I don’t enjoy it because I am constantly worried about if something has happened with my dogs because they are either attacking porcupine or she is attacking other dogs. I have the same issues and feel the same way you do. I have had personal one on one training as well as group training for my dog. He is very over protective of his territory and/or me. I will not put him down. He is muzzled in public and leashed. I have put him on CBD oil (for dogs). Right now he is the only dog in the family. At this point I would be fearful of bringing in another dog but it might help. He has settled down a little since I have put him on CBD oil but I don’t feel this is the only answer. I am looking for advise as well. Thanks for the article, my girlfriend and I have recently adopted 3-4yr Stratford terroir/Schnauzer. He is the most loving dog toward people I have ever been around. He does suffer from boundary issues, if my gf and I are sitting on the county he wants to be right in the middle or on top of us, he doesn’t sleep with us though. But if we are on the couch he will army crawl to us to make sure we are paying attention to him. However, saying he doesn’t get along with other dogs is the understatement of the year. Recently he got out while my gf was answering the front door and our neighbors where walking his dogs at the same time and what insued was a chaos until I was able to run down the stairs and grab him up. Luckily no dogs where hurt. But we don’t want to wait for another dog to be injured. We have talked to local trainers but they insist us bringing Teddy to a group training class which I’m worried will be just bring more chaos. Any suggestions…. please help. You are right to be nervous about starting with a group class. We would recommend that you find someone who will do individual training sessions with you until you have the behavior a bit more under control. Then, you could consider a group training class. Hi, we have joined the Rover dog sitting family and have our first aggressive dog. He was not aggressive when we did the “meet and greet”. I feel sorry for the dog because he was not trained as a puppy. He is now 4 1/2 years old. For the safety of the other dogs I have to keep him separated and that doesn’t seem fair to him..Any suggestions? Hello. My dog is 6 years old and he is very mean to strangers. He really hasn’t ever been exposed to other people much so I think that is part of the problem. I recently brought him to my college apartment with me and with 2 of my roommates he is completely fine but with the others he has bite one. I’m really just looking for recommendations on how to change this behavior so that my roommates aren’t afraid of him. Hi, I have an adopted street dog from Mexico. He is 2 years old and weighs about 13 lbs. The rescue dog is a very sweet, affectionate and calm dog until the Yorkie comes over. Before I got this dog my daughter lived with me with her dog. Her dog is a 7 year old Yorkie. The Yorkie grew up in our home and recently moved out with my daughter about a year ago. Over the last year I get her dog on some weekends to sit. Problem is both dogs are very territorial. They are both trying to be the alpha. It’s my house, I am trying to lay down the rules that I am the alpha not them. The rescue dog can get quite mean, snapping and growling and even physically attacking the Yorkie. My daughter is going on vacation for 2 weeks the middle of September and I am dreading having these 2 dogs together. I have been reading Cesar’s books and Sophia Lin’s book but not having much luck. Any suggestions that would help me would be greatly appreciated. We have two Shih Tzus. One is almost 10 and very gentle and laid back. The other we rescued from a box in a parking lot about 4-5 years ago. At the time the rescue, according to our vet was about 2-3 years old so now is about 7 probably. The rescue is also a lot smaller than our other one. They are both male. They got along famously until about 6-8 months ago and our little rescue started acting out aggressively – started the stare down thing the would basically attack our older one. No provocation what so every. It seems to be getting worse and now happens several times a week if not more. It seems the little one really would not hurt the older one, however, now we have an older dog that is skittish and pretty much afraid of the little one. I know Alpha dog. But my question is how do we remedy this. My husband said, after a pretty serious attack last evening, now the two have been playing like best buddies today. Don’t know what to do and do not want to get rid of the little guy. But we can’t have our older dog cowering all the time either. Help!!!! try putting both of them on a leash bring the big dog outside first then a few minutes later bring the little one out if the little one lays down or rolls or anything like that than the little dog knows that the older dog in the alpha but make sure to have the older dog standing until the little dog gets down . We have a terrier mix with a lot of behavior issues. It stems from my grandma and dad who have terrible dog training ideas. I try to train him, but I can do very little and then they undo everything I have done. I have tried to have honest conversations with them, but they respond with statements like “you don’t know what you are doing/talking about”, “this is how we always raised dogs”, “you’re just being mean to the dog”. When he bites, they say that it’s his only form of communication. Then they pick him up and praise him for letting them know he was bothered about something. When he barks, they sit there and scream at him. He will sit next to them and whine until they pick him up like a baby and rub him. Ifbhe doesn’t eat his food, they give him their food. I’m at a loss as before I can train the dog, I have to train people who have no interest in learning or changing. I just got a Rottweiler/Labrador/Mastiff. He is almost 4 months old but when I try to punish him or do anything he gets more aggressive. When he bites i put his paw in his mouth that didn’t work so I also tried to push his tongue just a tiny bit, roll his lips so he bites them instead and I’ve even tapped him on his nose. He just gets angry and it gets worse. He will bite harder and in places where I can’t see him coming. He gets aggressive when I touch him or try to pet him or kiss him. You are not teaching him anything but aggressive behaviour by doing those weird actions? He needs professional training otherwise you will have a very dangerous dog that even you cannot handle.